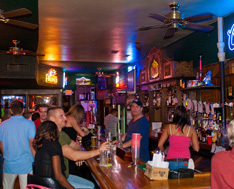 The recently revamped dive bar sprung for new floors and fresh paint but managed to hold onto its watering hole glory. Expect strange looks if you come in anything fancier than jeans, but why would you? The patio is where the action is anyway.